Sam Brody is a Reedsy editor with an incredible background at both literary agencies and in sales. So, quick overview. I've had lots of literary experience and sales experience. I've been an assistant in various literary agencies for over three years. I have managed slush piles for literary agencies for over six years, so I've seen definitely a couple hundreds of thousands of queries in my time. I've also worked in sales, both domestic and foreign, and I've worked in bookstores, so I've definitely used comp titles in every realm. Also, fun fact, the bookstore I worked at was the bookstore from You've Got Mail, which I will be using later as a comp title example. First things first, what are comp titles? Comp titles can be comparative or competitive titles. Basically, a comp title is a shorthand to describe your book. I'd say think of it as a simile. There are three different ways to use comp titles. 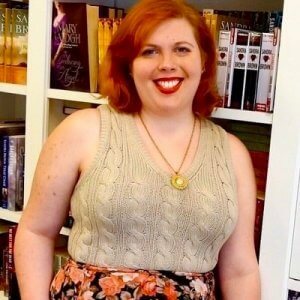 "If you like X, you'll like Y"
So for example, if you like Uprooted by Naomi Novik, which is a fairytale fantasy retelling, you'll like The Bear and the Nightingale by Catherine Harden, which is another fairytale fantasy. They're both set in Russia, they're both fairytales, and they both have romantic stories and high-speed plots. So that's one example of a comp title and how you can use it. "It's X but with Y"
"You've Got Mail, but with gay teenage boys." That example would be Simon vs. the Homo Sapiens Agenda by Becky Albertalli, which was recently made into the movie Love, Simon. So that's another way you can use a comp title. It's something well-known, but some element's been changed. This might be the one that most of you are familiar with. So, for example, "it's Jane Eyre meets Ghostbusters," which would be My Plain Jane by Cynthia Hand, Jodi Meadows, and Brody Ashton. That book's a retelling of Jane Eyre, where Charlotte Bronte is actually Jane Eyre's best friend and she can see ghosts. Comp titles are going to be used whenever you're pitching your book. It's the easiest way to describe your book because it's the easiest way to elicit interest. Though when it comes to pitching your books to publishers, your agent should have that under control. I would say a good comp title should let a reader, potential audience member, or agent know what your book is about. I don't mean its themes ("it's about realizing that family is about togetherness") or even what the genre of your book is ("it's set in a dystopian future where all of humanity has been wiped out"). A good comp title communicates the plot and the setting of your book, always. It should give me an idea of what I'm going to get, and should be adapted for your audience. So for example, if I'm speaking to someone who doesn't really like to read, I'm going to use titles that are a bit more widely known. So when speaking to someone who doesn't, say, read young adult fiction, I'm not going to use popular young adult books as comp titles with them because chances are they haven't heard of The Hazel Wood or Six of Crows. When I worked in a bookstore, if I was talking to someone who was a casual reader, I would use Twilight as a comp title because it might be a book that got them to the bookstore and they might not know a lot of other young adult fiction. On the other hand, if you're using comp titles when talking to an agent or an editor, you want to be more genre-specific because they're looking for comp titles that show you know the market and you know the genre you're talking about. So that's a good time to use Six of Crows, Hazel Wood, etc. Third, you could use comp titles if you're a self-published author, you're an author who deals with these things directly, or you're an author who tends to wander bookstores in hopes of pitching to people directly. You can also use them to pitch to foreign or film agents. Editors and agents overseas tend to like using comp titles that are more familiar to their territory, so they might use a comp title with a book that sold really well in Germany when pitching to German agents. Or they might use movies as comp titles for pitching to film agents. So it really depends on your audience and knowing where you are. So that's how you can use them, where they're used, and how to adjust them for your audience. You'll see a lot of books already published that do use really well-known comp titles in the summary. That's because those tend to be aimed at people who aren't readers. But if you're pitching to agents and editors, which I'm assuming is going to be a decent amount of you, don't use too well-known comp titles. Look at it as the "inverse graph of popularity." The more popular something is, the smaller your margin can be in terms of how different your book is. So for example, when pitching to agents and editors, a "big no" comp title that no one wants to see is Harry Potter. When I say Harry Potter, what do you guys think of? Morality issues: "What is good isn't always easy" or "what is right isn't always easy." So, if you're using Harry Potter as a comp title, as an agent, I'm expecting to see all of those things in your book. If I'm not seeing that, then your comp title has failed. The only exception for using Harry Potter in a comp title is if I'm pitching it to someone who's not really a reader, because chances are it's a book that they've heard of. Another common issue with comp titles is being too specific. This is another reason you don't want to use a comp title that's too popular within the genre. So for example, going back to young adult fiction, you don't want to use a comp title that's become overwhelmingly popular and is highly specific like Six of Crows. For those of you who don't know Six of Crows, I would comp it as Leverage by Nancy S. Thompson, in a Russian-inspired fantasy. Six of Crows is the same as Leverage in that it has very distinct characters and a very distinct heist team. That example shows how you can use really distinguishing characteristics in your comp title, as long as they match closely. But Six of Crows itself is considered a bit overused now. It's really popular, so if you're using that as a comp title for your YA fiction and you're pitching that to agents, your book better hit all of those points (small heist team, specific roles, Russia, etc.). Otherwise, the agent or editor who's reading it will go, "This wasn't a good comp title. You didn't hit everything." Basically, you went too specific on the comp title without having the story to back it up. Another case of something that's overused in comp titles and causes specificity issues: cult classics, especially recent ones. For example, something lot of people (agents, scouts, and editors) are beginning to think overused is Stranger Things. That's something that became very popular in the last year. Again, the more popular it is, the narrower margin of error. So, if you're using Stranger Things as a comp title now, just know it really needs to hit on everything that the actual Stranger Things has. Don't use two titles of the same genre and plot. Again, the purpose of a comp title again is to communicate what your plot is about. So if you're using a comp title with books that are really similar genre-wise to each other, it's not really going to communicate the story, because those titles are not different enough to be able to pick out the unique elements that translate into your book. A witch who is keeping it a secret. But it has too many similar characteristics to Harry Potter: living with aunt and uncle at first, magical secrets, and of course drama. When you say Sabrina meets Harry Potter, I'm not really sure what your book is about because there are a lot of overlapping characteristics. I can assume it has witches and teenagers, but I still don't really know what the plot is because Sabrina doesn't really have a distinct enough plot. Harry Potter has a very distinct plot, but [the commenter's book] doesn't really sound similar to the plot of Harry Potter. I hope that makes sense as to why that wouldn't work as a comp title, and why using two comp titles of the same genre, or similar plot, doesn't really tend to work. When you're using comp titles, try to have at least one title with a solid plot and one title to set the tone. So another bad example of comp titles would be Breakfast Club meets Sixteen Candles. They're both John Hughes movies set in the eighties and they're both about teenagers doing teenage things. But I couldn't really tell you what the plot of your book is based on that combination. I'd say they're more theme-specific or setting-specific comp titles. On the other hand, "Breakfast Club meets Pretty Little Liars" gives you a really good idea of what the book is about. That's actually the comp title used for One of Us is Lying by Karen McManus — a New York Times bestseller. That gives you a really specific idea of what the book is about: you have Breakfast Club, which is about teenagers and detention, with that sort of teen drama thing going on. And Pretty Little Liars is similar, so it skirts the line a little bit, but it's also got that darker teen drama "who killed who?" aspect of it. So you know that McManus's books has a group of six defined outcasts and a whodunnit mystery. It does its job in giving you an idea of what the book is about. You can definitely use classic titles. I love classic titles as comp titles and I think they tend to be really popular with agents and editors, because everyone likes something that they're a little bit familiar with. However, I wouldn't use them together because I think that would tend to fall under the category of same genre, same plot, or same feel. So [the commenter] is saying Pride and Prejudice meets Twelfth Night. Those are really specific, strong classic plots, so I'm not really sure which plot you're going with for your book, and I think that creates some confusion. If you just wanted something that's set in the Regency era or the Shakespearean era, I would use a comp title that evokes the feel of that era — like Shakespeare in Love — in combination with the other title. So a better comp title for you might be Shakespeare in Love meets Pride and Prejudice. On the other hand, you might also do Twelfth Night meets something from the Regency era. I also wouldn't say it particularly matters which order the titles go in. I tend to assume the first one is plot and the second one is more setting, but I think if it'll be pretty obvious to the reader. You can always practice by pitching it to a couple of friends or your family, and see what they say to get an idea of what order works. For example, The Breakfast Club, which I've just used — you associate it with a really specific sort of theme and setting. 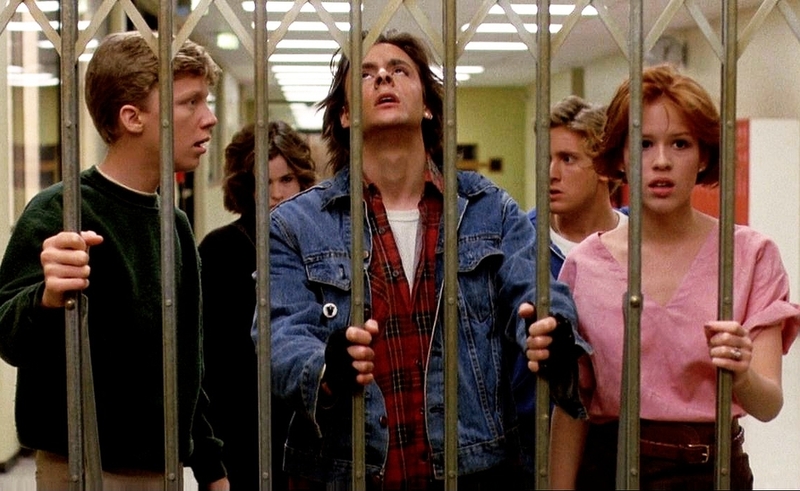 When you say Breakfast Club, what comes to mind is cliques or people who represent cliques, detention, high school, etc. It's not really to do with the plot because the plot of the movie isn't the most important part of the movie — it's just about the characters bonding. 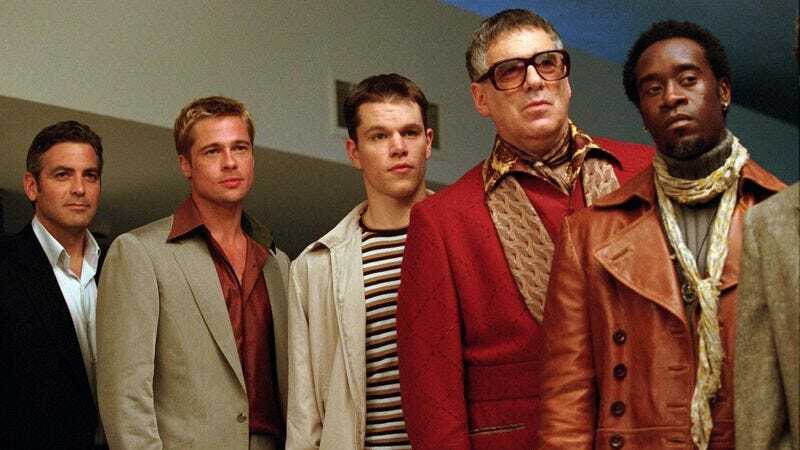 Whereas if you say Ocean's Eleven, that comes to mind is the particular heist and revenge plot. It's about pulling a fast one on both the audience and the people who are in charge of the banks. Use these associations when thinking of comp titles and putting them together, because you want to have an idea of what someone else is going to think when they hear it. Remember: you know your book really well, but someone else reading it won't have the same background and context as you. So they might not know about some world-building element that you have all planned out in your head, if it's not actually on the page. In order to help them understand, you might have to break some of the rules we've laid out here, like not using titles that are too well-known. Here's an example of how that might work: The Magicians by Lev Grossman is a book and TV show that's comped using Harry Potter as context. Magicians is often described as "grown-up Harry Potter," or "Harry Potter for millennials," or "Harry Potter set in grad school," or "Harry Potter meets Chronicles of Narnia." Something along those lines. In this case, it works really well because The Magicians is about a group of college students who are attending a magical school. The protagonist is a lonely boy who meets friends for the first time. They encounter a battle of good vs. evil. He discovers that he is supposed to conquer this ultimate bad guy (who's their version of Voldemort). He then discovers the battle between good and evil is a bit more complicated than he thought. It hits a lot of the same dramatic points as Harry Potter, and that's why this comp title works: it lives up to the promise it makes. But it's still risky to use something like that, so you need to really think. Are you providing the payoff that you're promising the reader (or agent)? If not, chances are you're going to hurt your book more than help. Really make sure that if you're promising something popular, your book fits that comparison to a T.
Sam Brody specializes in young adult, romance, science fiction and fantasy, and women's fiction. You can check out her Reedsy profile here.